If you are setting up your Development Environment for Windows Azure and want to avoid installing SQL Server Express. I didn’t want to use SQL Server Express because I’ve already installed SQL Server 2008 R2 CTP so I can interact with my SQL Azure Database in the Cloud. From the command line, Navigate to the Windows Azure SDK directory. cd "C:\Program Files\Windows Azure SDK\v1.0\bin\devstore"
Then you will Launch the Development Storage Initialization Tool [DSInit.exe]. You will need to set the SqlInstance [/sqlinstance:] that you wish to create the tables on, and you will need to force [/forceCreate] the tool to create the tables. 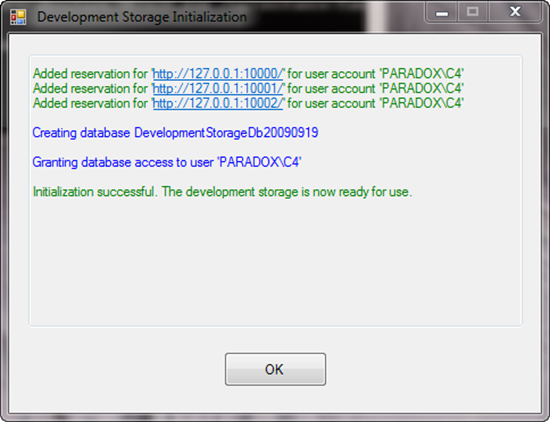 This will launch the Initialization Tool. 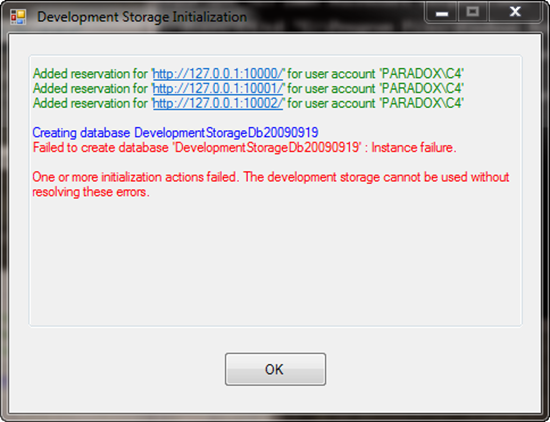 If you receive the error message below you it is most likely because the instance name was improperly set. 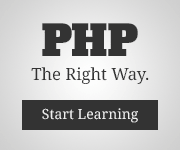 Ensure to be use only the InstanceName do not include periods or slashes. After your Development Storage is set up make sure you go into your Development Fabric and Start the Development Storage Service.